ESO's VISTA telescope has created the widest deep view of the sky ever made using infrared light. 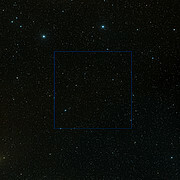 This new picture of an unremarkable patch of sky comes from the UltraVISTA survey and reveals more than 200 000 galaxies. It forms just one part of a huge collection of fully processed images from all the VISTA surveys that is now being made available by ESO to astronomers worldwide. UltraVISTA is a treasure trove that is being used to study distant galaxies in the early Universe as well as for many other science projects. ESO’s VISTA telescope has been trained on the same patch of sky repeatedly to slowly accumulate the very dim light of the most distant galaxies. In total more than six thousand separate exposures with a total effective exposure time of 55 hours, taken through five different coloured filters, have been combined to create this picture. This image from the UltraVISTA survey is the deepest  infrared view of the sky of its size ever taken. The VISTA telescope at ESO’s Paranal Observatory in Chile is the world’s largest survey telescope and the most powerful infrared survey telescope in existence. Since it started work in 2009 (eso0949) most of its observing time has been devoted to public surveys, some covering large parts of the southern skies and some more focused on small areas. 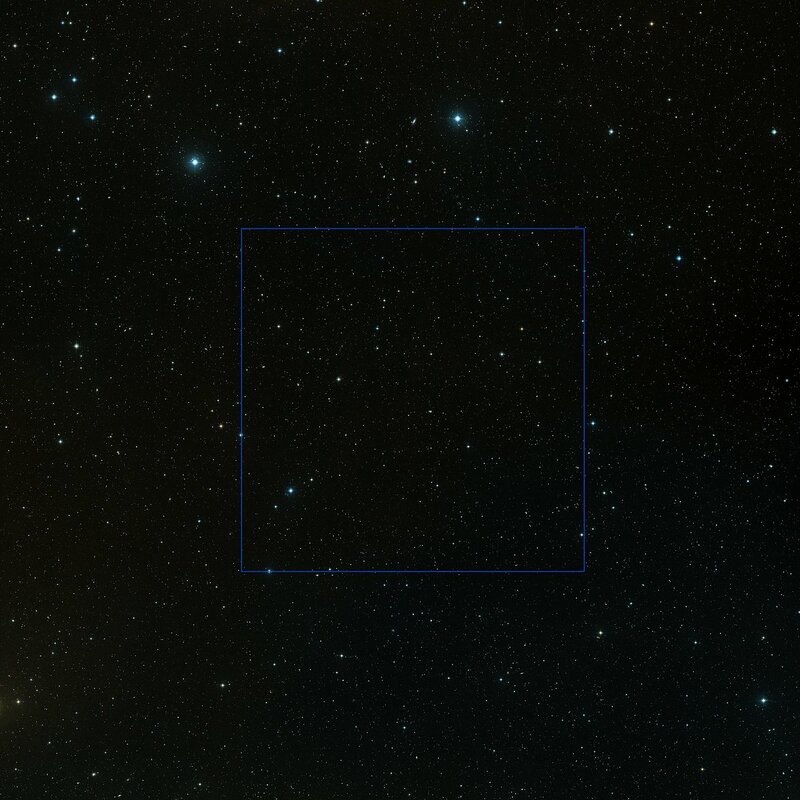 The UltraVISTA survey has been devoted to the COSMOS field (, eso1124, heic0701), an apparently almost empty patch of sky which has already been extensively studied using other telescopes, including the NASA/ESA Hubble Space Telescope . UltraVISTA is the deepest of the six VISTA surveys by far and reveals the faintest objects. Data from the VISTA surveys — totalling more than 6 terabytes of images — are now being processed in data centres in the United Kingdom, and in the case of UltraVISTA in France, and are flowing back into the ESO science archive and being made available to astronomers around the world. At first glance the UltraVISTA image looks unremarkable, a few bright stars and a sprinkling of fainter ones. But in fact almost all of those fainter objects are not stars in the Milky Way, but very remote galaxies, each containing billions of stars. Enlarging the image to fill the screen, and zooming in reveals more and more of them, and the image records more than 200 000 galaxies in total. The expansion of the Universe shifts light from distant objects towards longer wavelengths. For starlight coming from the most distant galaxies that we can observe, this means that most of the light falls in the infrared part of the spectrum when it gets to Earth. 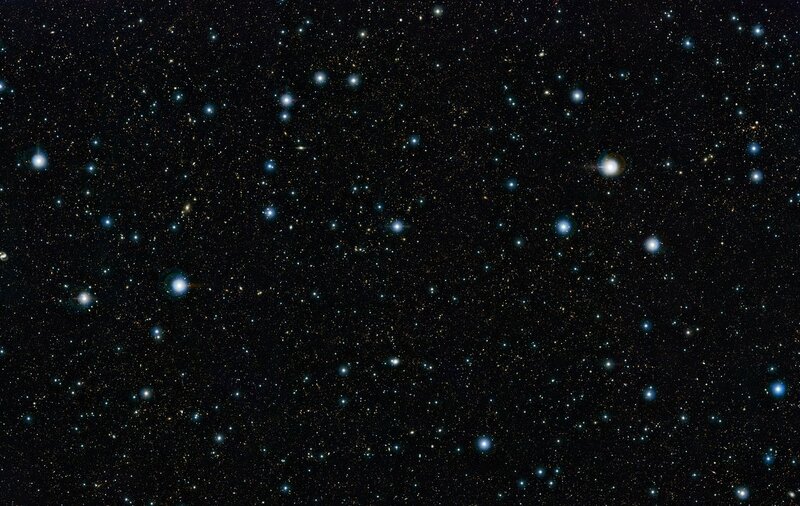 As a highly sensitive infrared telescope with a wide field of view, VISTA is uniquely powerful for spotting distant galaxies in the early Universe. By studying galaxies in redshifted light at successively larger distances, astronomers can also trace how galaxies were built up and evolved over the history of the cosmos. Close inspection of the picture reveals tens of thousands of previously unknown reddish objects scattered between the more numerous cream-coloured galaxies. These are mostly very remote galaxies seen when the Universe was only a small fraction of its present age. 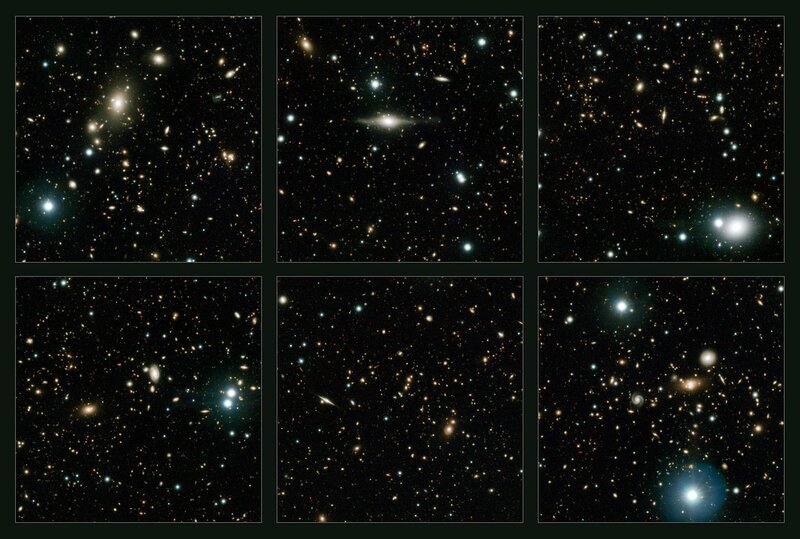 Early studies of the UltraVISTA images, in combination with images from other telescopes, have revealed the presence of many galaxies that are seen when the Universe was less than a billion years old and a few are seen at even earlier times. Surveys are vital resources for astronomers and ESO has put in place a programme  so that the rich heritage from both VISTA and its visible-light companion, the VLT Survey Telescope (VST, eso1119), will be accessible to astronomers for decades to come. Astronomers use the word deep to mean images taken with very long total exposures that can detect the faintest possible objects. Normally many shorter exposures are taken and later digitally combined. UltraVISTA has imaged the COSMOS field in the constellation of Sextans (The Sextant). 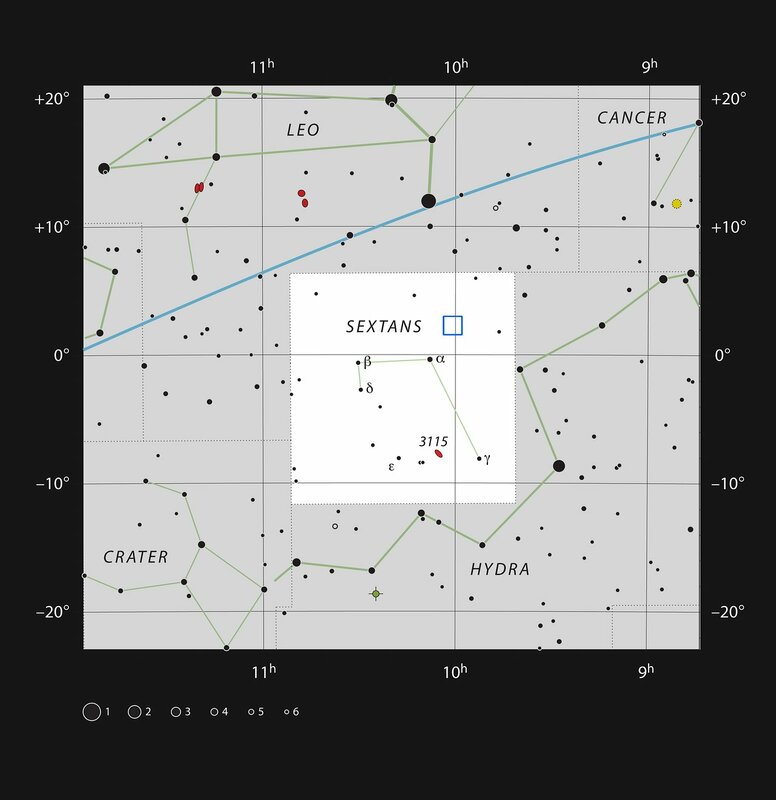 This region of sky has been mapped by a multitude of telescopes so that a series of studies and investigations can benefit from this wealth of data. UltraVISTA covers 1.5 square degrees, about eight times the area of the full Moon and slightly smaller than the full COSMOS field. The new UltraVISTA observations provide the very deep infrared observations of the COSMOS field that complement observations at different wavelengths of light from other telescopes, both on Earth and in space. Data from ESO’s telescopes normally goes straight into a huge digital archive. But a new initiative, called Phase 3 is collecting highly processed ESO data from groups of astronomers around Europe and making them available in ready-to-use form. The processing of large astronomical images, such as those from survey telescopes, is challenging and requires major computing resources and specialist expertise. So the provision of fully processed and comprehensively described uniform data, rather than raw data from the telescopes, greatly helps the community to fully exploit the data.